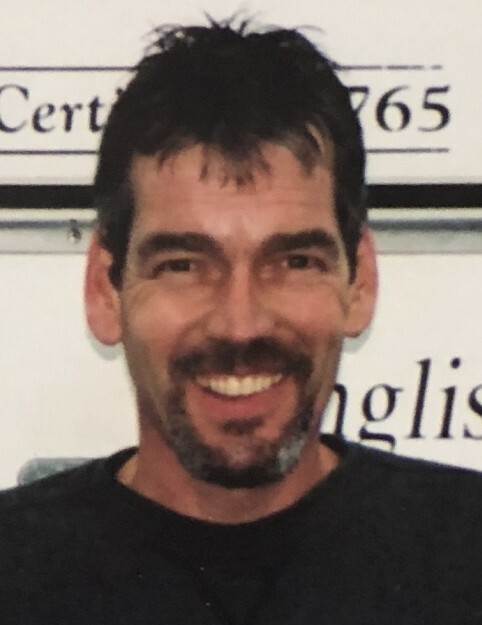 Wolcott – Dennis Sullivan, age 53, passed away on July 1, 2018 at his home. He was born in Waterbury CT on August 7, 1964, son of the late James and Phyllis (McMahon) Sullivan. He lived most of his life in Waterbury and moved to Wolcott six years ago. Dennis was a graduate of Kennedy High School class of 1982 and Oklahoma Farrier College. He was a self-employed master horse farrier, and won numerous awards and competitions held by local and national farrier associations for horseshoeing. For a number of years, he acted as clinician for the Teikyo-Post equine program. Dennis enjoyed animals, the outdoors, sky diving and was an avid pool player. His faith was always an important part of his life. Dennis is survived by his daughter, Marissa Sullivan of Waterbury; his grandson Grayson Jeffers; his brothers, Rev. James Sullivan, pastor of the Church of the Assumption in Ansonia, and John Sullivan and his wife, Robin of Watertown and their three children, GraceAnne, Christopher and Caitlyn; his sisters, Sister Veronica Mary Sullivan, S.V. of the Sisters of Life in New York, and Moira Sullivan Shapland of Bristol and her children, Erin, Hannah and Margaret. He is predeceased by his brother, William.